After two very successful educational seminars held in the last two weeks with 3 specialist speakers and over 100 attendees I wanted to share some of the topics of discussion as this may very well affect you or someone you know. On the 5th of December 2016 the British Government announced changes to Inheritance Tax rules for foreign nationals (including UK Citizens living overseas) that own UK property and assets within the UK. The new rules will come into effect from the 6th of April 2017 and historically many foreigners used trusts or companies to avoid UK Inheritance tax. The new rules mean that such set ups will no longer avoid Inheritance Tax. This means that anyone who holds UK based property will be liable to pay inheritance tax no matter how they hold the property. 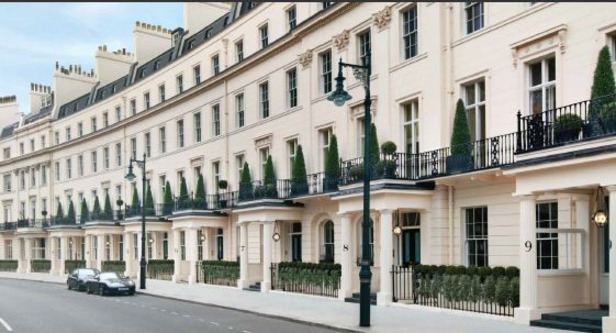 UK Inheritance Tax is one of the highest estate duties anywhere in the world. The government charges a 40% tax on the value of any assets held in the country in excess of £ 325,000 for a single person and £ 650,000 for a couple. However, with proper planning there are a number of ways to reduce or even completely remove an Inheritance Tax liability on UK property. Previously it has been very difficult to place a property in to a portfolio, primarily because of leveraging against the property, the non-liquid nature of property, valuation fluctuations etc, BUT now we have a vehicle for both expatriates and locals who own property in the UK that can potentially negate and offset your IHT liability. The new rules on non-domicile ownership also means that holding property within a company will NOT be IHT efficient anymore, so if you are holding a UK property and wish to know more, either let me know and I will be happy to arrange a 20-30 minute introduction which can potentially save you 40% of your asset. Also, If you feel that this information would be of benefit to your friends or colleagues please feel free to forward this and I will be happy to meet for an introduction in the next few weeks too. I would like to hear more about how you can help me on this. Hope all is well in Singapore.